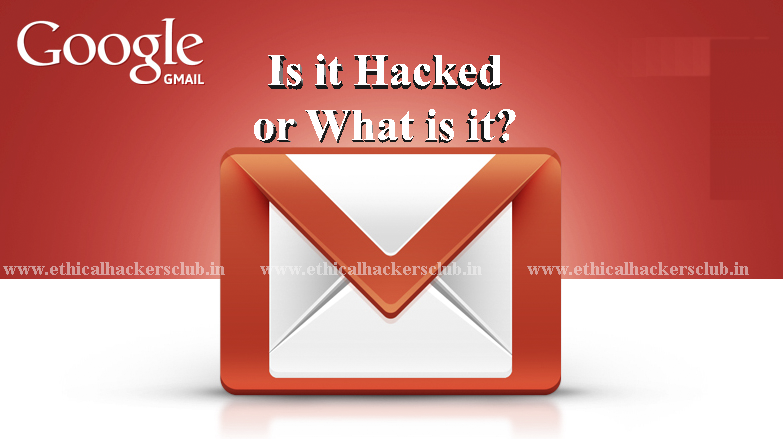 Home / Cyber Security / Gmail / News / Technology News / Was Your Gmail Account Really Hacked? 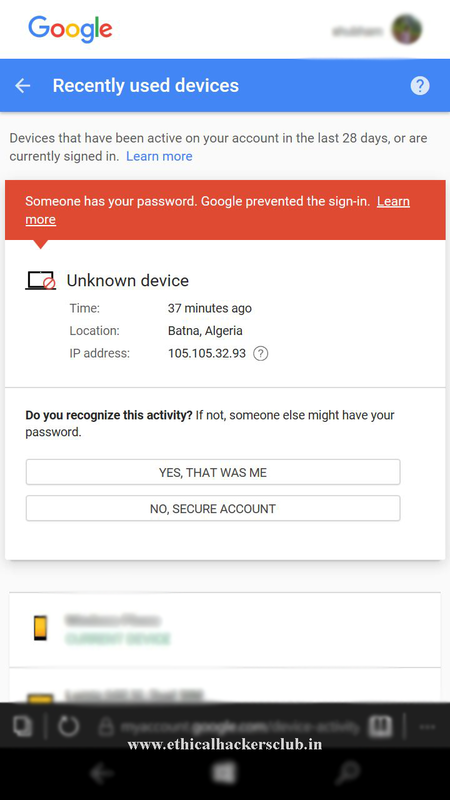 Was Your Gmail Account Really Hacked? A Mysterious Security Message Brings in The Fear of Hack To Many Gmail Users. Somethings going on with google and the reason's not yet confirmed. I found about this issue when one of my college friends contacted me with his security concerns. Evidently, others too have suffered somewhat similar problems and have shared it with Ethical Hackers Club's team. Must Read: Top 2 Most Secure & Encrypted Email Service. 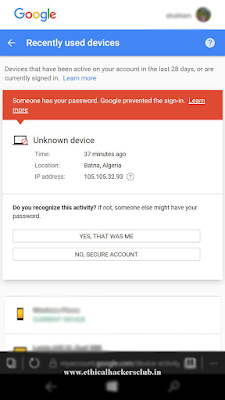 Users are receiving messages as described in the picture and few reported that their account has been changed, and asking them to re-sign into Google on their mobile. It's not clear if some sort of glitch or a hack has taken place. Google said it was investigating the issue while downplaying concerns. On one its official forms. "We've gotten reports about some users being signed out of their accounts, unexpectedly. We're investigating, but not to worry: there is no indication that this is connected to any phishing or account security threats." While we are waiting for words from google about the same in person. We've request users facing the issues to change their password, Check out their recovery options, Security Question and enable two-step authentication as we always request. To stay updated with the further replies about the same stay connected with us. follow us on Twitter #EthicalHackersClub. Find us on Facebook Ethical hackers Club. Must Read: AVOID LOVE, OR A ROMANCE SCAM.